Stratasys, a leading manufacturer of 3D printers and production systems for prototyping and manufacturing and Materialise, a Belgian-based pioneer in Additive Manufacturing software and solutions, today announced the unveiling of 3D printing collaborations on the catwalks of Paris Fashion Week as part of Iris van Herpen’s Haute Couture show, ‘VOLTAGE’. 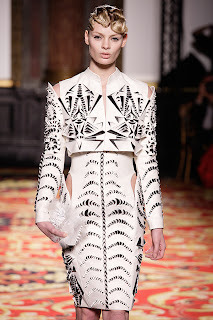 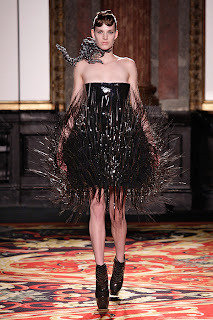 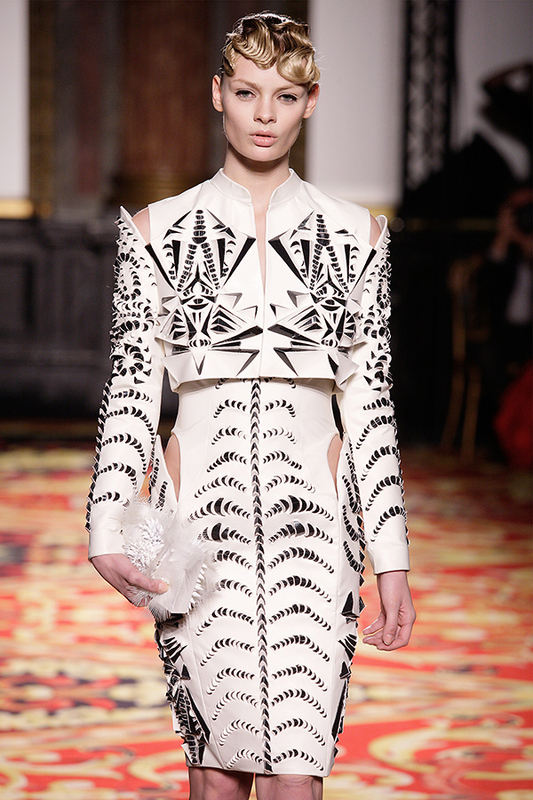 Van Herpen, Koerner and Materialise have continued testing the limits of 3D printing with this 3D printed dress, proving once again that normal rules don’t apply when fashion and high technology combine. In last season’s ‘Hybrid Holism’ collection, they first introduced the use of Materialise’s Mammoth Stereolithography machines for a stunning semi-transparent dress that one spectator compared to liquid honey. 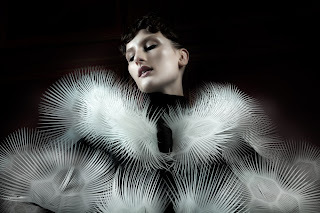 For this latest collection, ready for an even greater challenge, an experimental new material was put to use in the creation of a flexible, soft dress of stunning complexity. 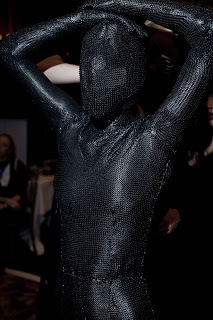 The piece’s intricate lace-like texture was created with precision by lasers (in a process known as Laser Sintering) and would have been impossible to realise any other way.